Mmm cookie dough, how I love thee, let me count the ways. 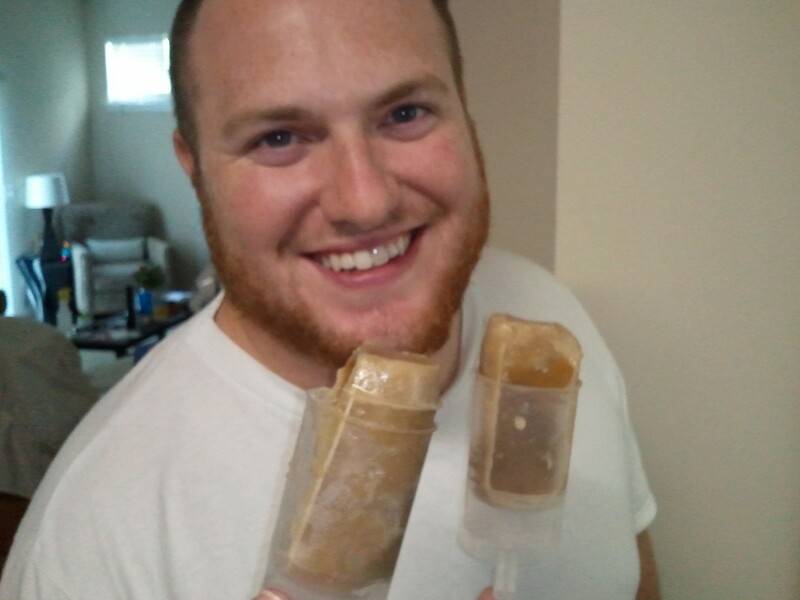 I tried my hand at making Cookie Dough Push Pops. I used this recipe with slight variations. Now don’t go thinking that I did variations because I think I am some fancy chef. No, I did some variations because I didn’t have the right ingredients. I did 1/3 cup brown sugar and then 1/3 cup regular sugar with a tablespoon of molasses. As for the chocolate, I didn’t have any morsels but rather melting chocolate so I used that. Over all they turned out pretty tasty despite the way they looked. It did taste a lot like frozen cookie dough. This entry was posted in 101 in 1001, Married Life and tagged 101 in 1001, cookie dough pops, food, recipe. Bookmark the permalink.